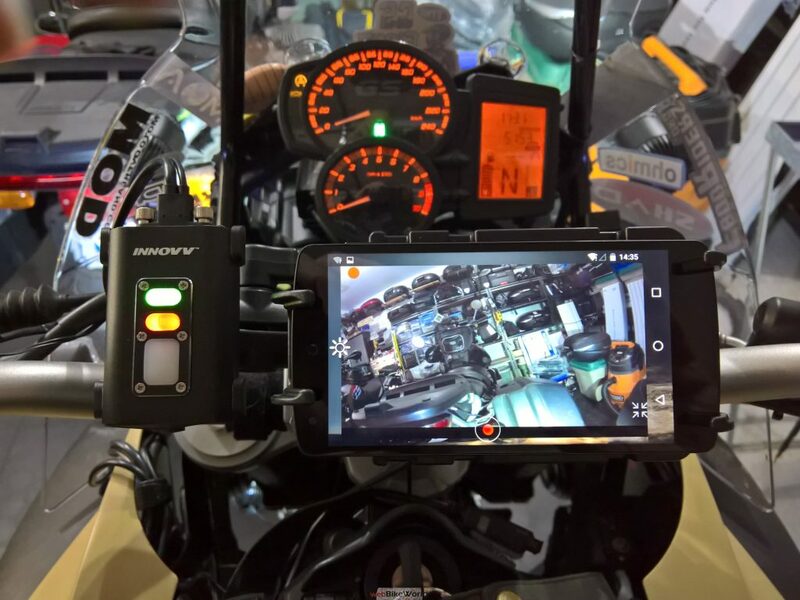 The C5 single-channel camera system is a newer offering from INNOVV providing a lot of desirable features for powersports activities, particularly motorcycling enthusiasts, at a reasonable price. Compact and ruggedized, the modular-based Innovv C5 provides a sealed waterproof lens, an aluminum DVR module, USB 3 integrated heavy-duty cable, and a dedicated protective power supply in the form of a weatherproof 12-5V DC converter. 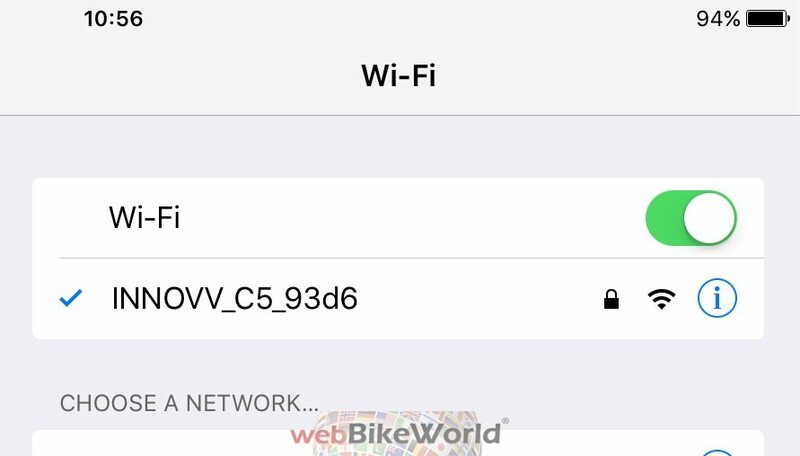 The Innovv C5 also provides WiFi, a popular and extremely useful feature not found on the single channel l C3 and dual-channel K1 products. When networked to a compatible smart device running the iOS or Android INNOVV app, users can configure the system for set-once use or interact dynamically to preview/live-view, review video, and manage the system. 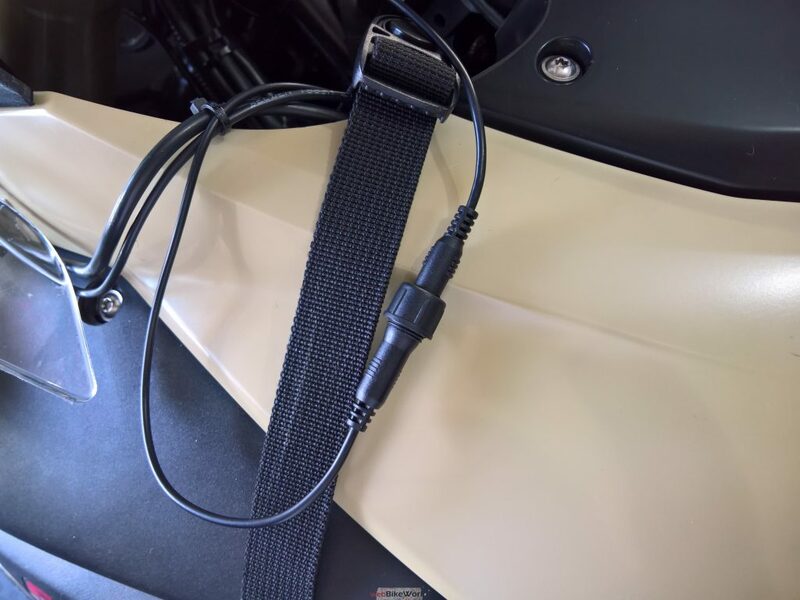 Thanks in large part to the C5’s modularity and long lens cables (1.8m, 3m and 5m options), the system is easy to install and use on virtually any motorcycle. Designed to have broad base appeal it is likely to have a special attraction for adventure touring riders who typically need a more ruggedized weatherproof system; for those of us who are just as happy getting wet and muddy the C5 is a great option. Speaking of wet and muddy, the camera lens has an IP68 (waterproof) rating, whereas the DVR module has a somewhat lesser IP65 (dust/water protection) rating. The pressure-fitted, thumb-screw sealed USB-C connector on top is ready for the task of coping with the elements, though users need to be aware that integrity of the system can be compromised by the silicone seal flap on the bottom – used to provide quick port access. Where the solid sealed lens is more than functional, the original lightweight (thin) lens holder showed signs of weakness. It has now been redesigned for greater strength, more resiliency, and better grip of the lens. Initial concerns about video quality were largely mitigated in making sure the lens and holder were solidly mounted. Depending on the motorcycle, using some form of isolation mount to cope with the ultra-low-weight of the lens, motorcycle suspension,the terrain being travelled, pays big dividends. 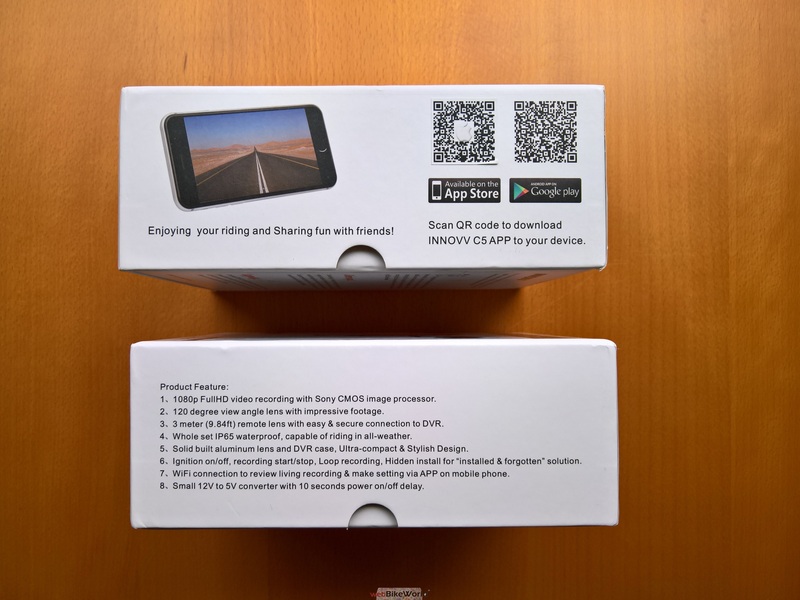 The Innovv C5 is a welcome and well-priced product that bears a close look. While not ‘bug-free’, the C5 team has completed some updates and continues to provide outstanding support. 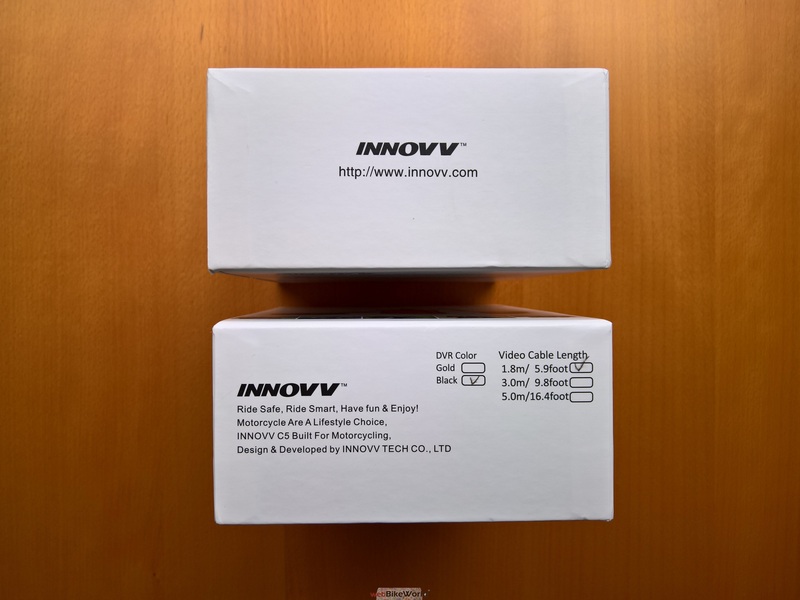 Not having used the INNOVV C3 single-channel system, but in being familiar with the K1 dual-channel system (along with most of the other INNOVV products), the C5 piqued my interest when it was released. For those who have looked at or used the C3 and/or the K1 systems, some components found with the C5 system will be familiar. Although virtually everything packaged for the C5 is upgraded or new. There are two K1 systems installed and in constant use since the original wBW review published in December 2015. 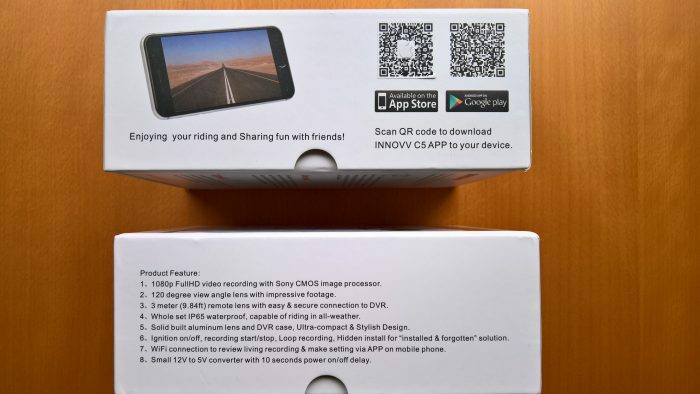 Outside of the sporadic ‘freeze-up’ issue, exhibited by one of the DVR modules, they keep recording front and back ride video – some of which have proven extremely valuable at times. Looking at the specs and features of the C3 and the K1 systems, the C5 seems to be ideally positioned, especially with WiFi and its ruggedized weather resistant approach, to move the INNOVV product yardstick forward. 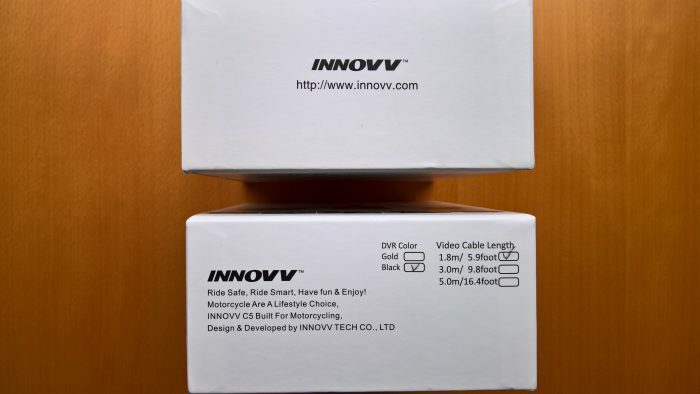 The Innovv C5 single-channel camera is a modular system with small form-factor components, heavy duty cables and weatherproof connectors. 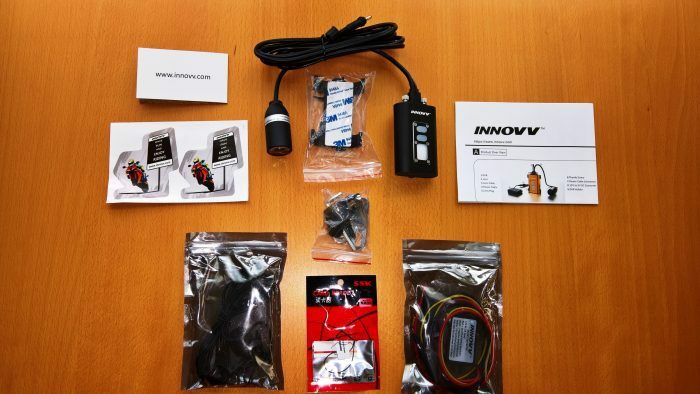 All of which facilitate installation on virtually any powersport vehicle; especially moto-machines. 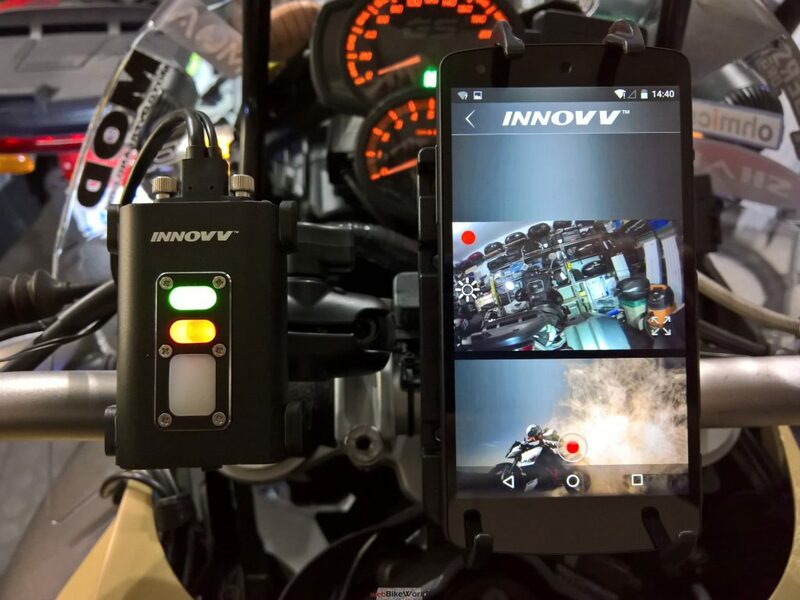 While the main components,DVR module and lens (camera), are similar to those used for the Innovv C3 product, the Innovv C5 system is designed to be more rugged, provide a wireless link for smart device connectivity, and provide a wide range of settings. Users can undertake basic interaction with the system via front end (module) controls or have more detailed interaction with the system by using the onboard WiFi capability, and a compatible smart device running either the iOS or Android app to provide finer-grain configuration with on the fly control. 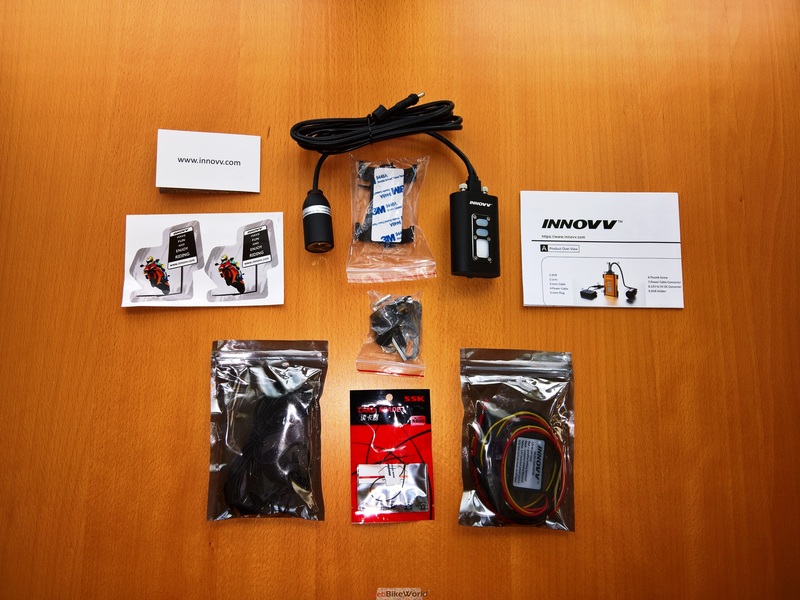 The Innovv C5 is truly the sum of its parts in providing a multi-component turn-key solution suitable for almost any platform. The face side of the small module has a sealed screw insert with three tactile pressure activated controls for input; all three controls have integrated LEDs that provide visual communication. With the module oriented to put the INNOVV logo at the top, the upper oval button is the WiFi connection control. The one below is the Power & Recording (On/Off) control and the large bottom rectangular button is the Reset control. The small 70 x 46 x 21mm (2.75 x 1.81 x 0.8in) aluminum module is available in black or gold and has an overall International Protection Marking (IEC standard 60529) rating of IP65 (dust and water protection). 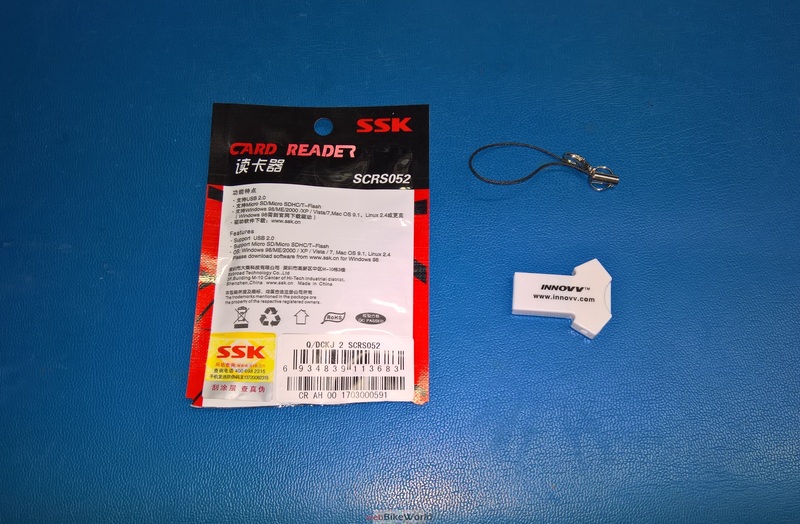 A key component in providing dust and water protection is the weather-proof screw-type USB-C screw-interface power and data connector used on top of the module. A somewhat less robust but effective silicone cover (cap) recesses into the raised edges of the module, protecting the bottom interface ports. The bottom section provides a 3.5mm external microphone (mono) port, an internal microphone hole, a micro-USB port, a small access hole for the reset switch and a micro-SD card slot, accepting up to 128GB media – the faster the better. Keep in mind that the silicone flap needs to be fully engaged to maintain the environmental integrity of the module per its IP65 weatherproof rating. At 25.5 x 54mm (1.0 x 2.13in) the tubular aluminum-bodied lens is small, sleek, and low profile. It provides an encompassing 120-degree horizontal field of view, along with a bit of edge distortion – a minor trade-off considering its other attributes. Itt is a totally sealed unit, from its permanent integrated lead to the actual lens and it features an IP68 (immersion) rating. 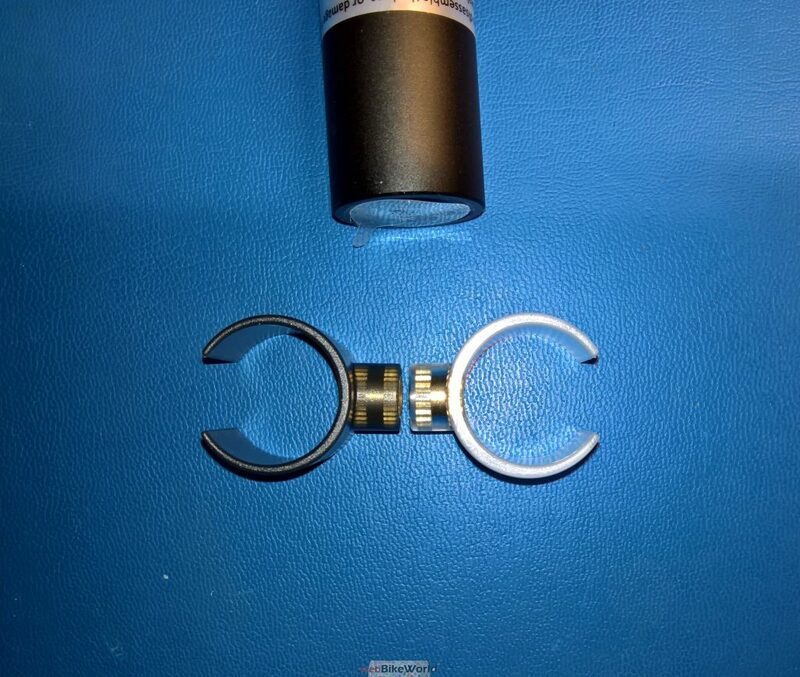 The most rugged piece supplied with the C5 kit, the lens has an impressive operating temperature range of -20C to 60C (-4F to 140F). Between its IP rating and operating temperature range, the C5 lens should have the ability to handle almost any climatic condition. The integrated 1.8m or 180cm (70.8in) integrated long connection harness terminates with a USB-C connector, in the previously identified weather proof connector housing. This sealing housing fits snugly into the receiving port on top of the DVR module as a pressure fit and secures with two small thumb-screws – unique and comforting in its design. 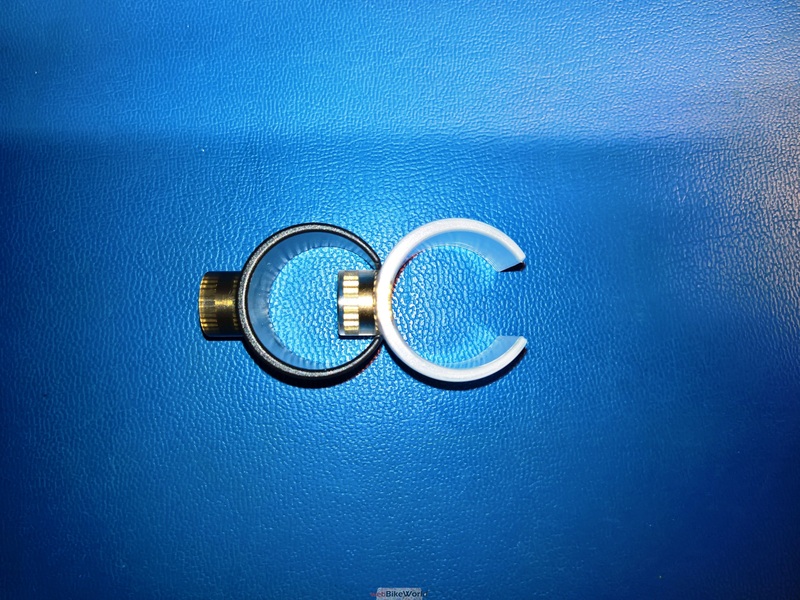 A lightweight C-shaped lens holder with an integrated 0.25in (20P) threaded insert cradles and secures the equally lightweight lens. The included DC/DC (12V to 5V) converter power supply is a small sealed component providing 5V DC (2A maximum) with a 10 second power on/off delay -a system safeguard. 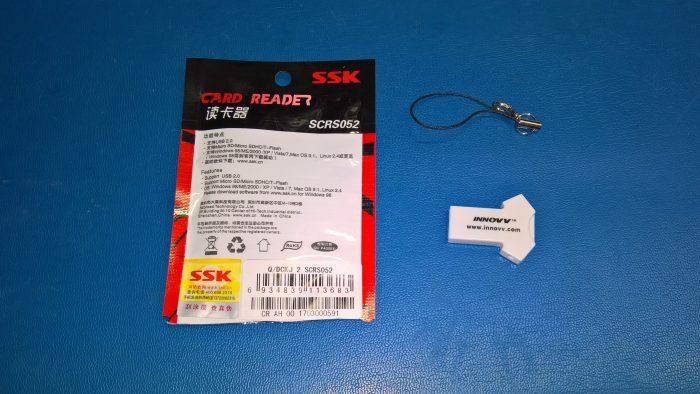 This component is also available as a separate product. The 5V connection to the DVR module is made with a dual wire lead, terminating in the male end of a waterproof coaxial connector that mates up to its other half on the shorter power lead segment, and integrated into the main USB-C harness. A 500MA Li-Polymer battery is the internal system power source capable of providing up to 60 min. of recording at 1080p, along with a stated 60 min. charging time. The internal supply allows the system to power down under control when the ignition is switched off and the 10 second On/Off delay ends so ongoing functions (like saving to a file) are completed without corruption. 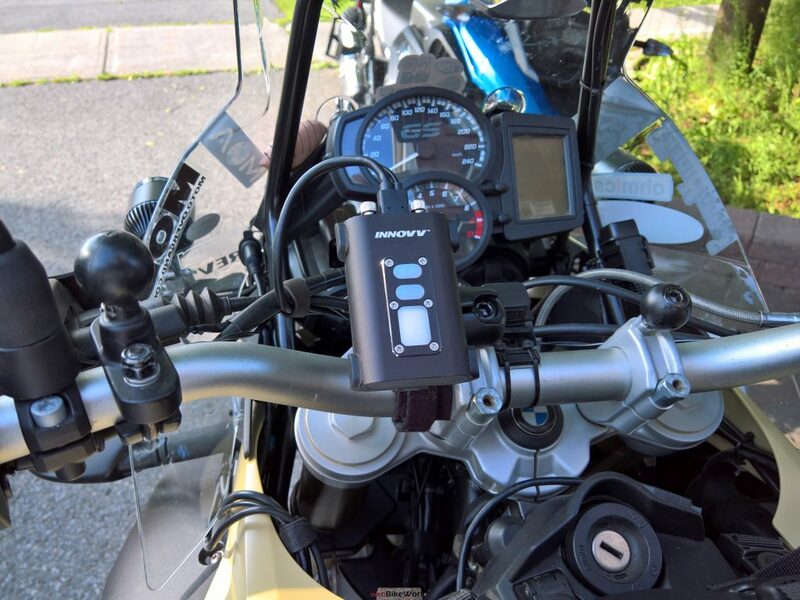 Another function is to provide a critical fail-safe power supply, providing the means to power the system for short periods of time in event of an accident, or if the motorcycle is parked and subsequently ‘disturbed’. This small lightweight plastic bracket provides a snap-in pressure-fit mount for the DVR module. The bracket has four small holes drilled in a rectangular pattern on the back section and the mounting kit includes small sheet screws and double-sided foam adhesive for use with the bracket. An overlooked opportunity regarding this bracket is that the four-hole pattern used is not sized to accept a four-hole AMPS industry standard pattern plate or bracket. 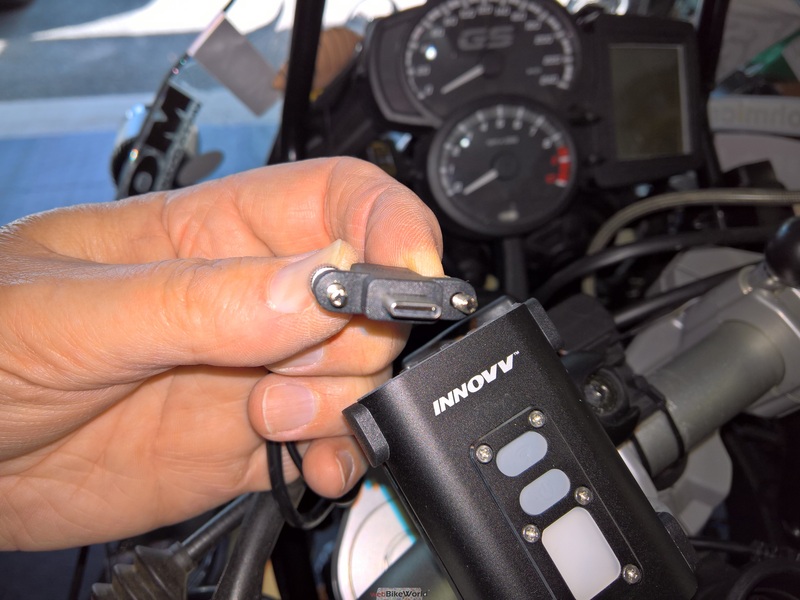 After completing the recommended one hour charge prior to initial power-up by using the bottom micro-USB port, the next step is installing the system components – initially on the 2014 BMW F800GS Adventure. 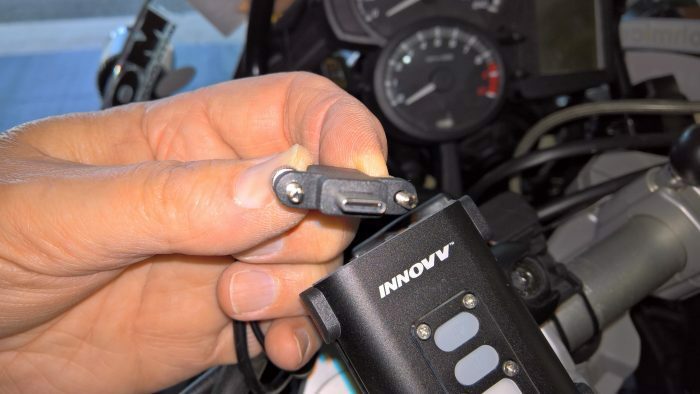 Finding the right home for components provides challenges, especially as motorcycles (usually) feature lighter trimmer designs and less (typically) encompassing plastic, but with more OE electronics and related components. 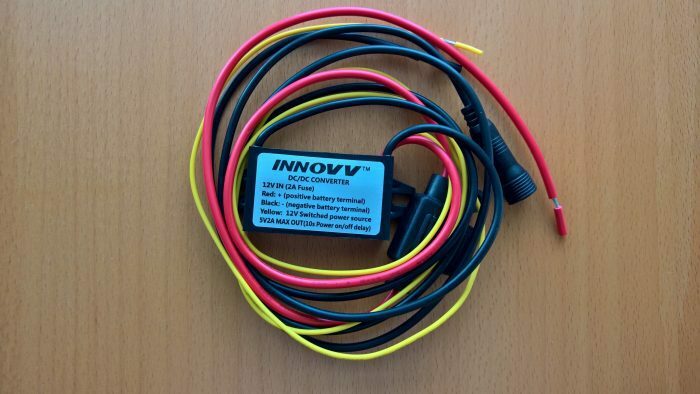 Thankfully, most electronic components continue to shrink in size, like the small sealed Innovv 12V to 5DC converter/power supply that is a welcome inclusion with the C5 camera kit and is installable almost anywhere. With the centre top panel removed exposing the airbox cover and battery box components, the converter is mounted with 3M Dual-Lock to the left of the Arboreal Systems Neutrino Black Box (NBB) V2 module (also secured with 3M Dual Lock). 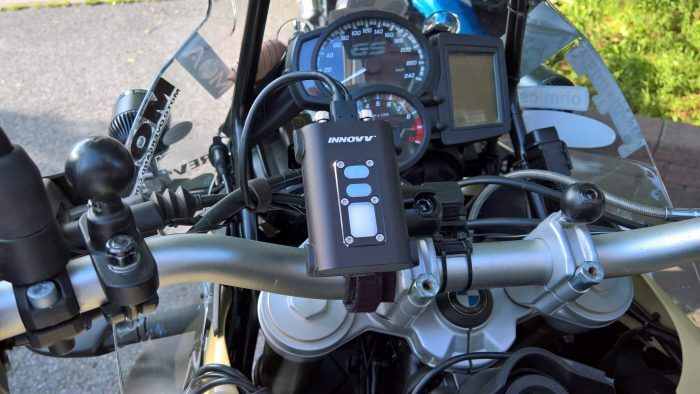 Use of quick-detachable 3M Dual-Lock fastener allows the Innovv and NBB modules to be lifted away from the air box cover when it needs removal for air filter maintenance. This location puts the converter in close proximity to an available circuit on the NBB or to the battery terminals – an option exercised while keeping the converter away from the C5 DVR module, and eliminating or minimizing electrical interference – all set. To prevent unplanned incidents before doing any electrical work, the negative and positive terminals on the battery should be disconnected and isolated. Before doing any electrical work, the negative and then the positive terminals on the battery are disconnected and isolated to prevent any incidents. 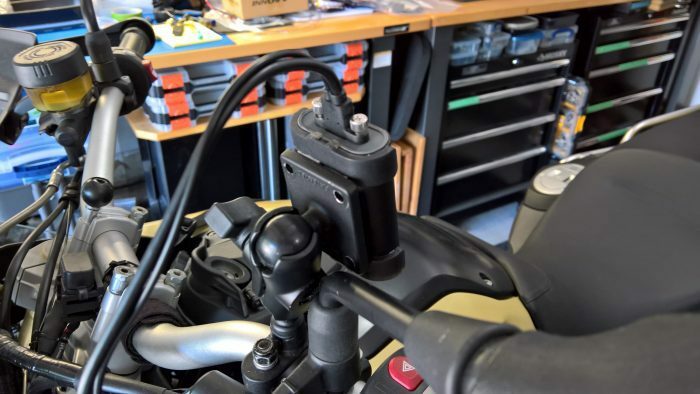 With the battery connections made, a length of yellow PET is added over the yellow trigger for protection and routed over to the right side of the motorcycle where it runs parallel with the NBB V2 trigger wire back to the under-seat On-Board-Diagnostic, or OBD plug. 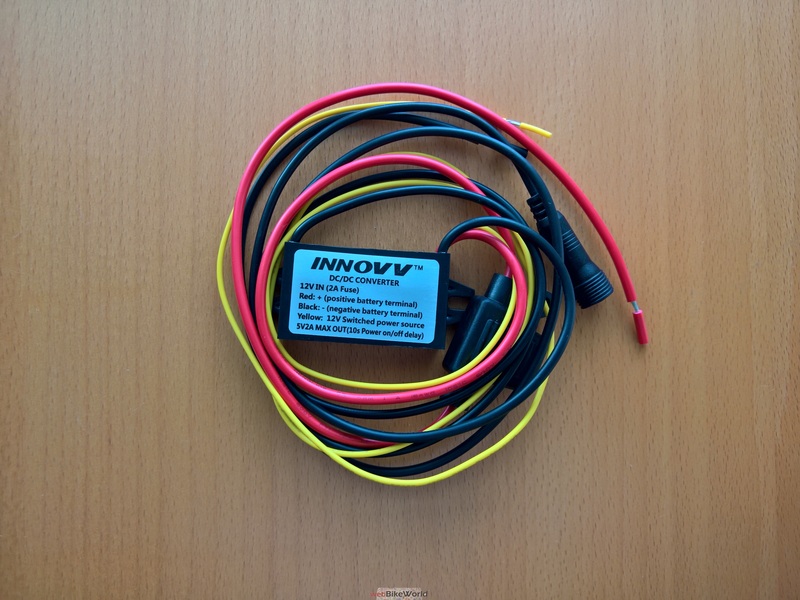 The existing Blue Posi-Tap originally installed for the NBB trigger wire now hosts both leads to the 12V switched supply wire on the OBD harness. 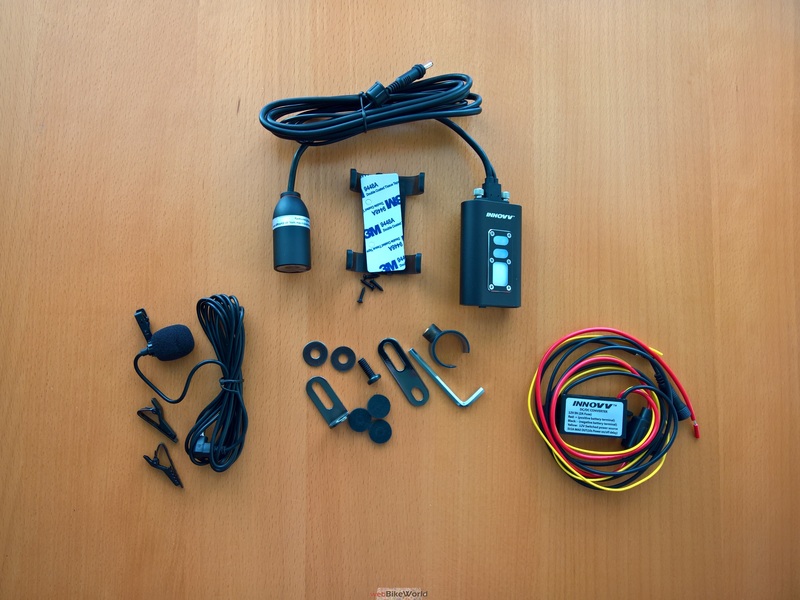 Neither device draws much, so they do not intrude on the onboard system or functionality of the OBD. Several test placements for the lens revealed many options – some relatively exposed and some more protected with stronger bases. 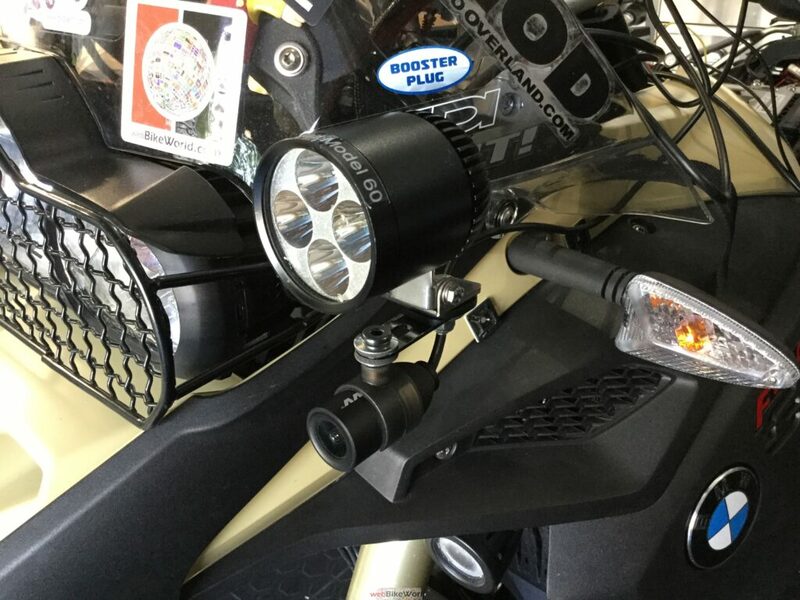 The initial mounting point chosen is also the L-bracket perch for the left-side mounted ADVmonster M60 LED. 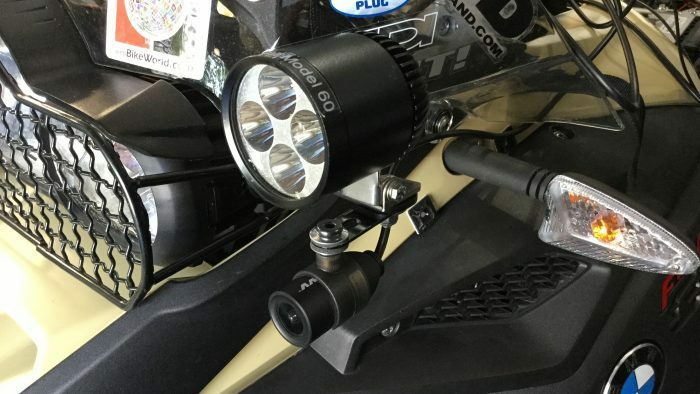 The flat bracket from the kit sits so the elongated cutout faces forward for the lens holder mount, while the single hole end provides the means to secure it to the lower side of the L-bracket, with the LED sitting on the top side. The elongation provides adjustment of the lens forward or backwards, and side to side, while a cushion sandwich mount made from two of the flat, and one of the silicone washers from the kit, sits between the lens holder and the bracket. 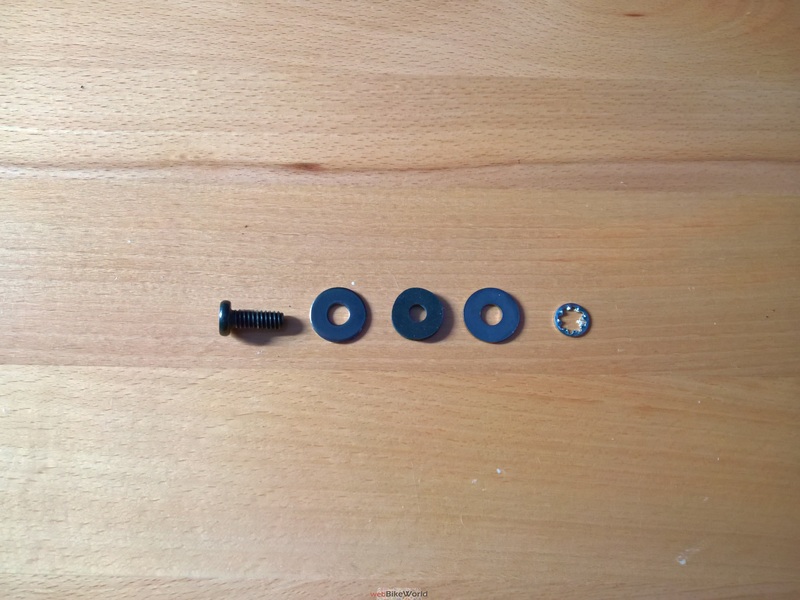 This cushioned sandwich potentially serves to help absorb road and machine vibration and also takes up the excess length of the kit’s three-quarter inch long screw with its 5/8th’s inch of thread (longer than the insert in the lens holder). Finely formed piece but thin walled and lightweight. Its integrated 0.25in (20P) threaded insert used for the hardware is far stronger. Carefully tightening the hardware reveals that the holder side walls flex a great deal, raising the potential for failure of some kind over time and use – turns out our concerns were well founded. 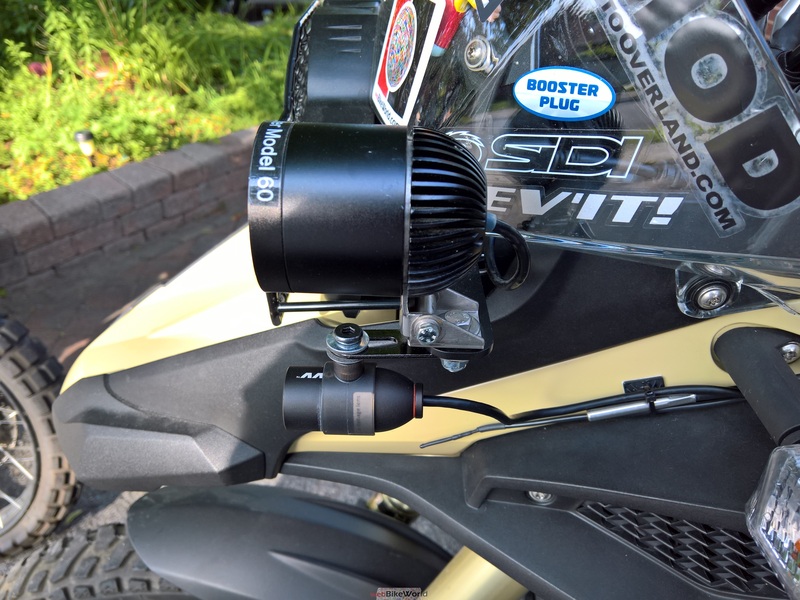 Once positioned, the lens has a clear view without any parts of the motorcycle intruding into the wide-angle view laterally and beyond. Sure enough, after two weeks of use and some adjustments of the lens and holder (which may not be the norm), two observations were made: stress cracks appeared on the walls of the holder, and the tubular lens moves and pivots in the holder. A makeshift fix uses shaped sections of Gorilla Clear Repair tape to cover and reinforce the brittle sides, including the cracked areas, while small strips of the tape overlap the front edges of the holder and lens to bind the two components together to maintain the lens orientation. 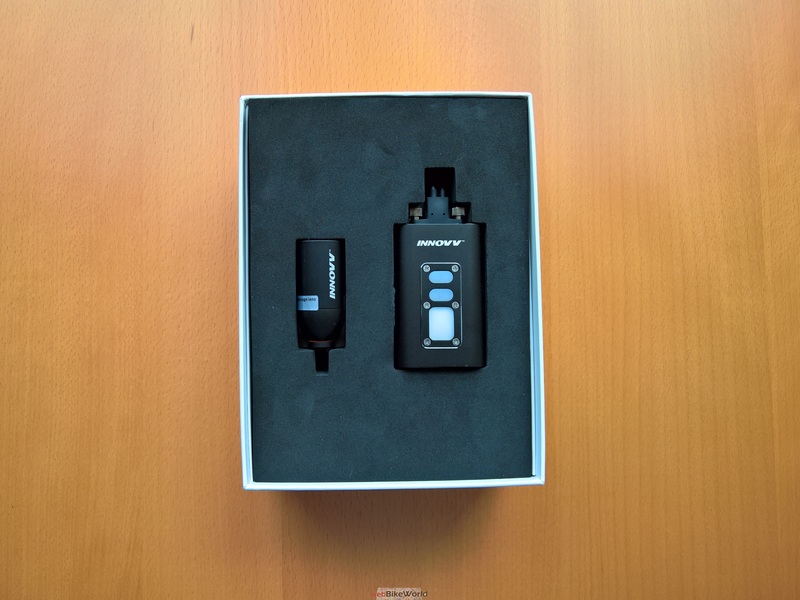 As usual, especially with a new product, observations with constructive feedback points were forwarded to the Innovv C5 team lead, who was quick to acknowledge the information – a pleasing start. 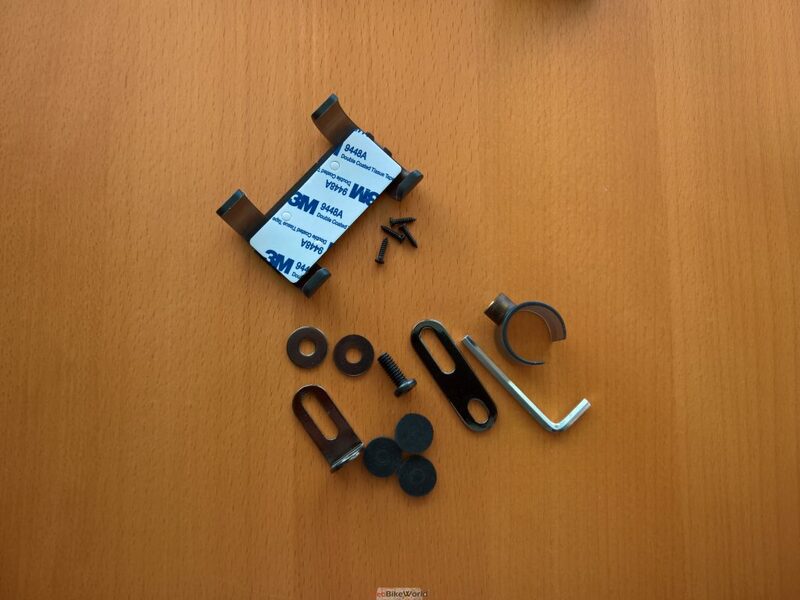 Follow-up correspondence identified that the holder piece was has been redesigned for more strength and better grip. Other observations submitted have also been added to the team’s review list. Bottom line here – support from Innovv remains quick and positive. The module may eventually find a home in the small crowded under-deck area behind the full-length seat and the leads are long enough to accommodate this front to back installation. 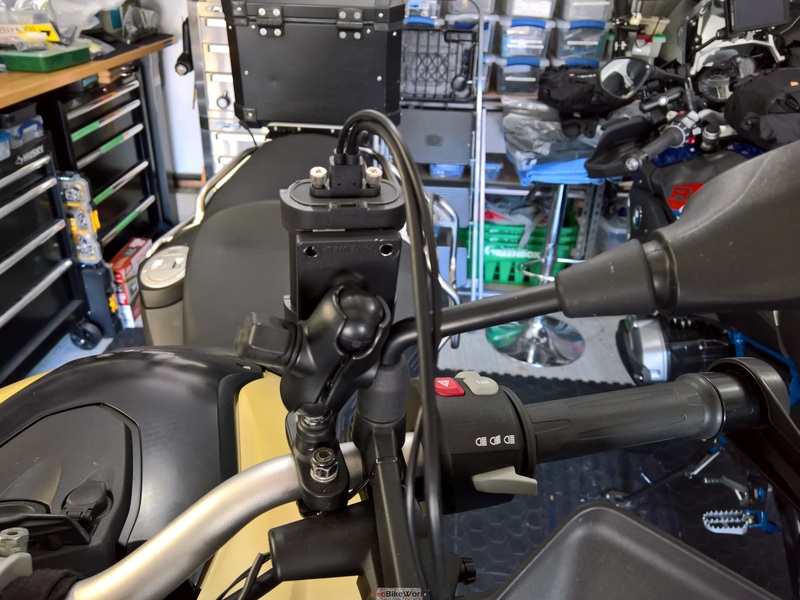 Though in wanting to test the C5’s ability to withstand environmental conditions directly and allow direct access to C5 DVR module controls, initial fitment of the module is on the exposed left handlebar area. The module is secured using a RAM-B handlebar clamp base (PN RAM-B-367U) installed on the upper left 8mm handlebar clamp mounting point, while a RAM-B rectangular AMPS plate mount (PN RAM-B-347U) is stuck to the back of the Innovv mounting bracket with 3M adhesive. 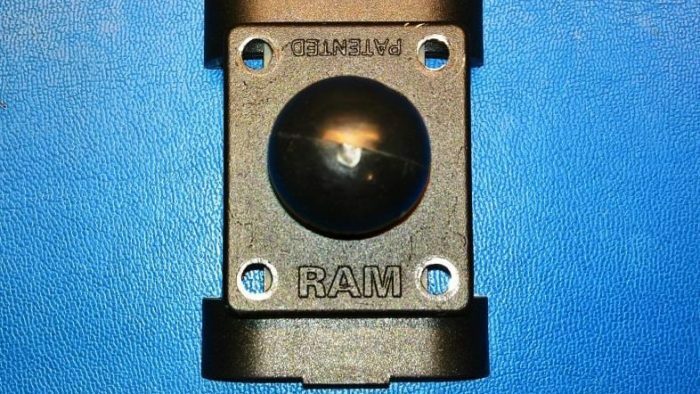 A short 1.75in RAM-B arm (PN RAM-B-201U-A) mates the two RAM-B ball mounts together to provide lots of positioning flexibility; RAM medium or three-way flex arms also work well. The power harness exits the front left of the top panel and runs along the left side of the steering head. 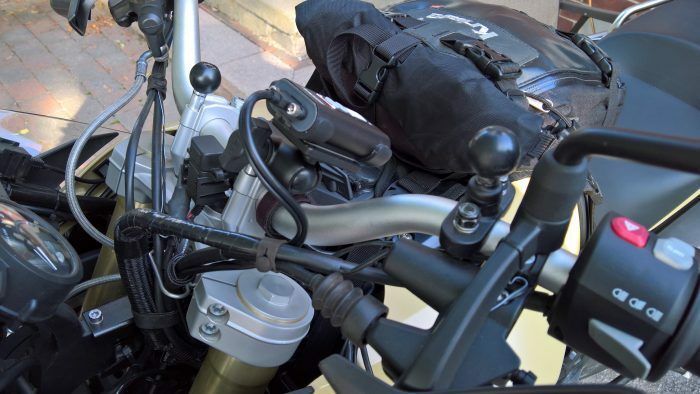 All the other cables and harnesses make their way to the left side of the handlebar. As located, easy and safe left-hand access to the DVR module is provided along with a good visual line, although the hard to see LEDs don’t provide much in the way of visual communications. If a fixed location is not desired or viable, the C5’s modularity and harness lengths provide flexibility when looking for optimum lens and module placement, and the most secure platform for a specific application. 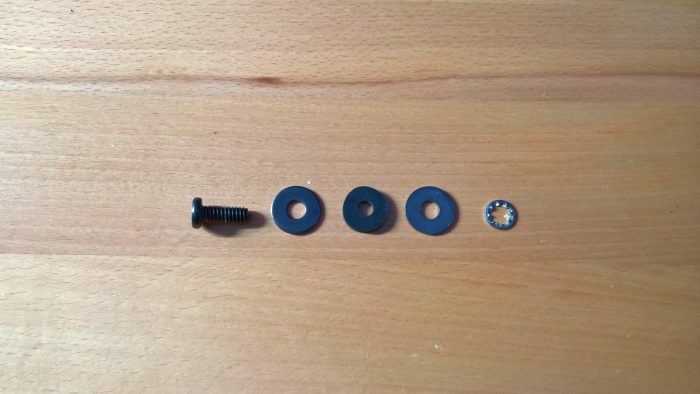 The 0.25in (20P) threaded insert used with the lens holder is the near-universally accepted standard for camera mounting systems – many of which wBW has reviewed over the years and the use of RAM products just make things easier as well. Bottom line – the Innovv C5 lens and holder combination can be affixed to almost any compatible mounting system, although users need to make sure the mounting location provides a stable platform for the lens to allow optimal video recording. 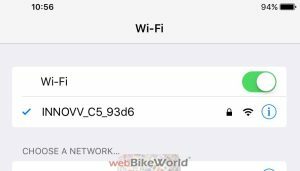 The Innovv C5 mobile WiFi app for Android (v5.1+) and iOS (v8.3+) is directly downloadable using the QR codes on the website, or by searching and installing the app directly from the Google Play Store or the App Store for iOS devices. “Between the two platform versions, displayed on the aging Nexus 5 and the iPad 4 Mini, there are layout differences. But overall look, feel, and function is consistent; the team is also working on noted disparities. Once launched, two of the usual welcoming splash screens are presented, followed by the main interaction screen with eight active menu selections or tiles: LivingRecord; Photograph; Document; Setting; WebSite; Shop; Blog; and ShareFun. With the network connection made, exploring the tiles and their features is time well spent. 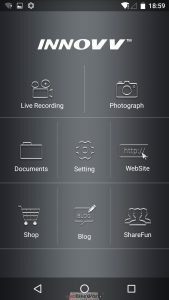 I found the Record, Photograph, and Settings selections had the most use overall, while other menus provide further exploitation of the system’s capabilities. For initial testing, a 32GB SanDisk Class 10 HC-1 SanDisk microSD card is inserted into the slot on the bottom of the camera (orientation per the etched diagram). 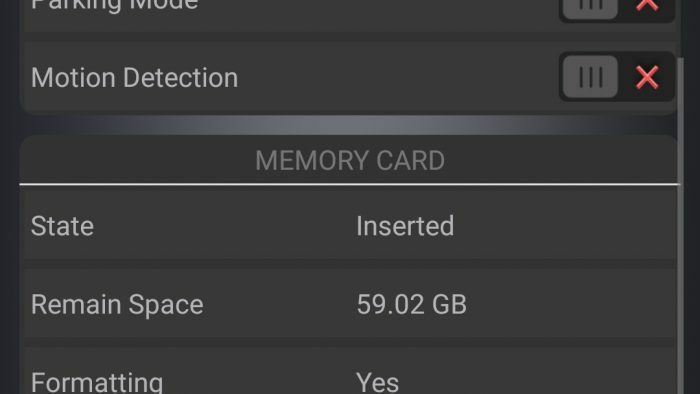 A microSD card is not the optimal media, but used for initializing the system. 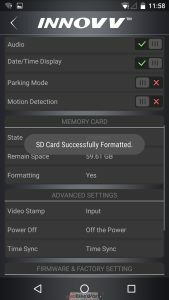 Other microSD media used included higher spec (UHS-1 and 2) 64GB and 128GB AData media, a SanDisk Extreme UHS-3, 90/60 Read/Write MB/s, and a Samsung 64GB EVO piece, which provided the best Read/Write specs we could find in locally available media. Unfortunate. When the C5 system is on and the network functioning, the main app screen will go live after the two opening splash screens. Select the Settings (Gear Wheel icon) for an initial tour and configure the C5 for the preferred settings – don’t forget to format the media if needed. If no microSD card is present, the Red LED flashes 3 times per second as an alert signal. With media inserted, formatting is done automatically (indicated by the Red LED going out and turning on again), or manually using the app in the ‘Settings’ section – a confirmatory message is displayed once the media is ready; the system reboots as well. We must stress the need to make sure the bottom silicone cover is fully seated – it is a critical component in maintaining environmental integrity of the module. 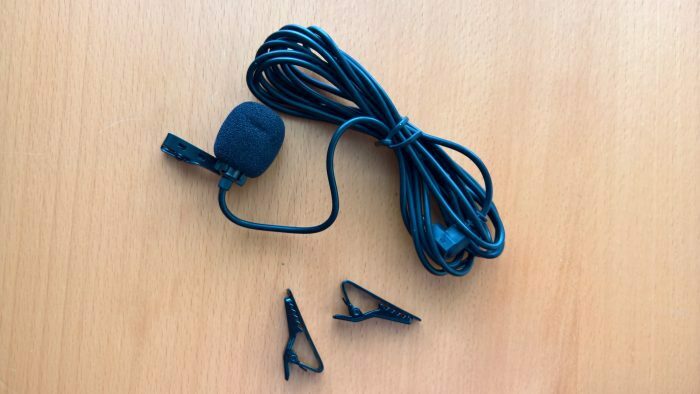 Although we found using the external microphone or micro-USB connections negate any effectiveness of the silicone cover. Although one immediately realizes that using the external microphone or micro-USB connections negate any effectiveness of the silicone cover. With the ignition turned on and a ten second wait, the C5 boots up and subsequently enter its default video recording mode indicated by the Red LED flashing once per second. A push of the middle Red LED button stops or starts video recording (the Red LED goes steady or flashes once per second,). Manual start-up of the system is done by pressing the Red LED button for three to four seconds to turn the device On or Off. With the smart device ready, and its WiFi on and in search mode (if needed), make sure the C5 is on and its Green LED flashing indicating that it is ready to be connected. Once networked, the Green LED on the C5 module goes to a steady on state. If the connection is shut down or lost, the Green LED flashes slowly indicating standby mode. As configured using the App, turning on the ignition or manually powering up the C5 will have everything automatically started. Although I found that the network connection typically needs to be manually re-established from session to session. This isn’t a bad thing, especially if the paired device has a default connection for data or internet access, something the INNOVV connection doesn’t provide. This issue may not seem critical when the C5 module is tucked away somewhere out of sight, networked to a mounted smart device used for ongoing management purposes and video viewing. 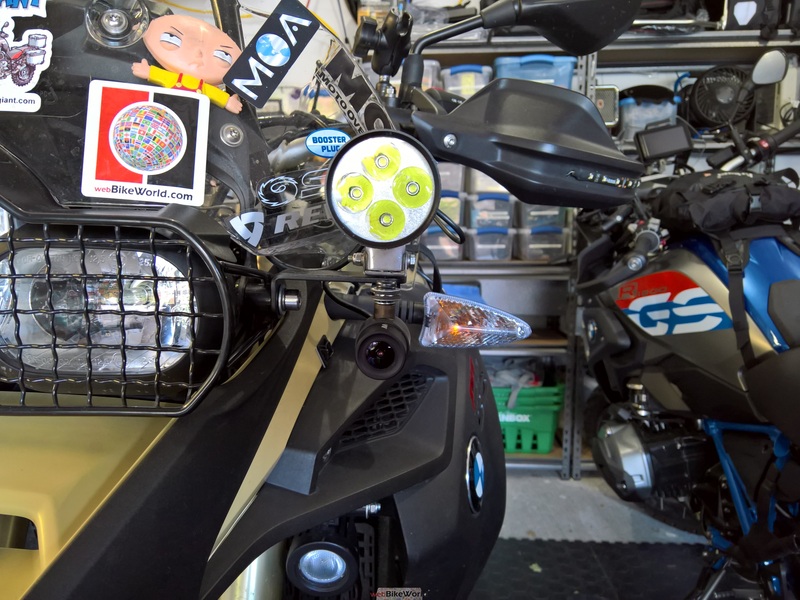 If the module is mounted externally, as on the F800GSAdv, to allow direct manual control rather than via the paired device and app, the hard to see visual indicators are a real concern. Press the centre Red button. From the app, press the upper left Video Camera icon to enter the recording section and then the Red square icon on the lower split screen. If the upper screen’s single Red dot and/or the Red LED on the C5 is flashing, video is being recorded (default mode on startup). 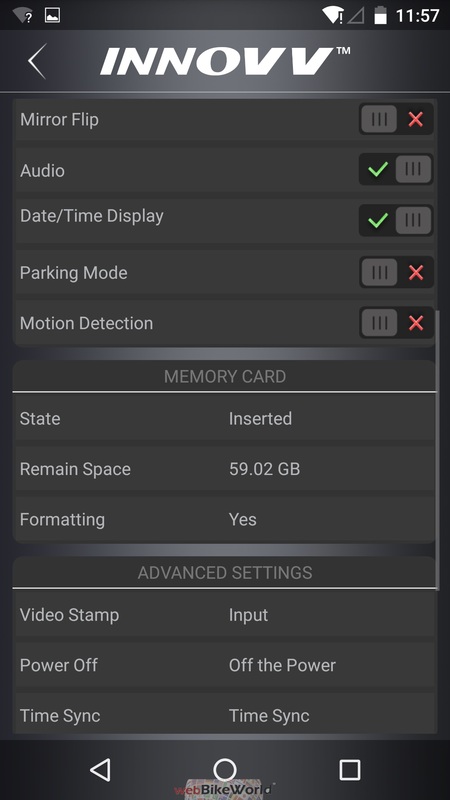 To stop recording, press the app’s small red square screen icon once or the Red button on the module; after two seconds the red square icon and the Red LED on the DVR module go solid. Press the icon or module control again to stop recording. Single-channel (mono) audio is recorded if set to ‘On’ under the app. 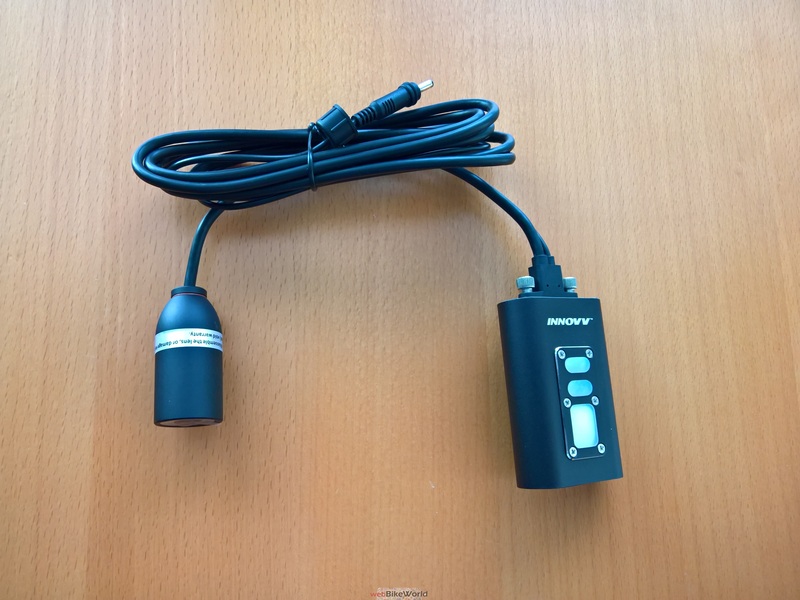 As could be expected the internal microphone is less than stellar – its port is under the bottom end silicone flap. Although typical machine and road noises can be distinguished depending on conditions. The external microphone provides more dynamic encompassing audio, especially if located in the cockpit area or inside the helmet allowing a travel monologue of sorts, which is what I typically use it for. 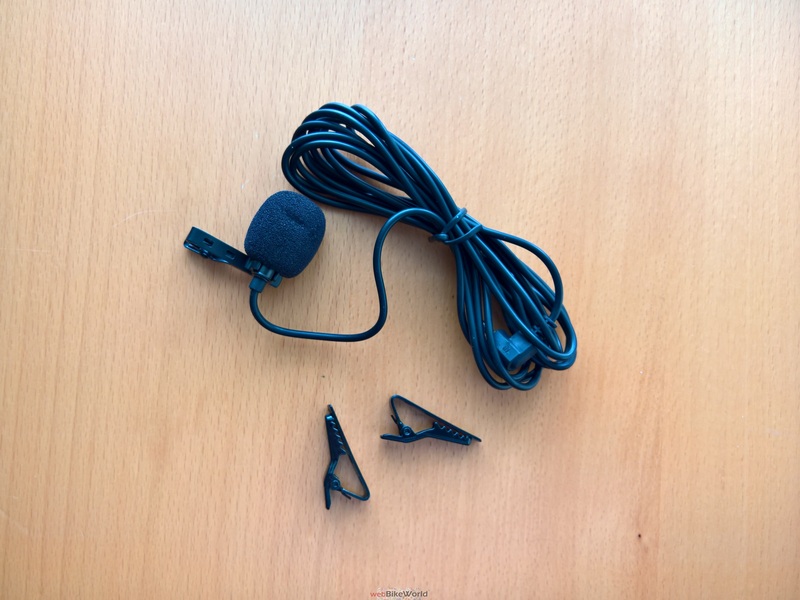 Noted by other users and acknowledged by the C5 team lead, the external microphone can be useful, but also creates a lot of noise. However, most of it doesn’t end up on the audio track. And don’t forget that using the external port removes any integrity of the bottom seal. Selecting the upper right Camera icon provides the means to take individual photos (per settings). When a photograph is taken a ‘processing’ pop-up appears on the screen while the module’s Red LED flashes three times, then reverts to solid Red. 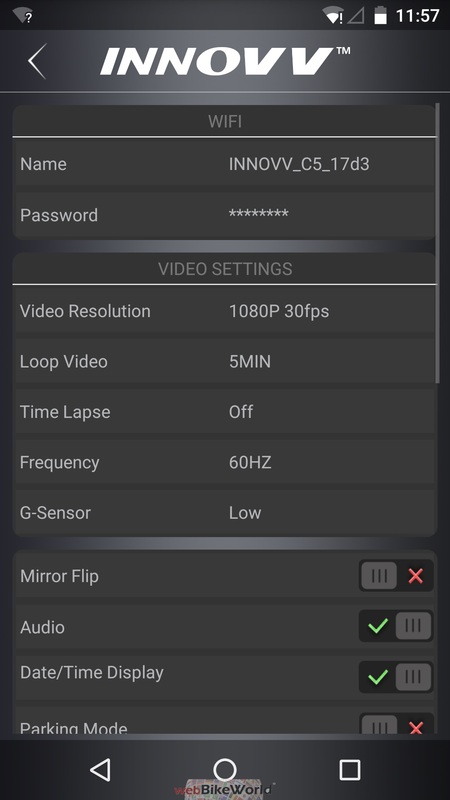 The app provides some dynamic adjustment features not available when using the basic DVR controls. 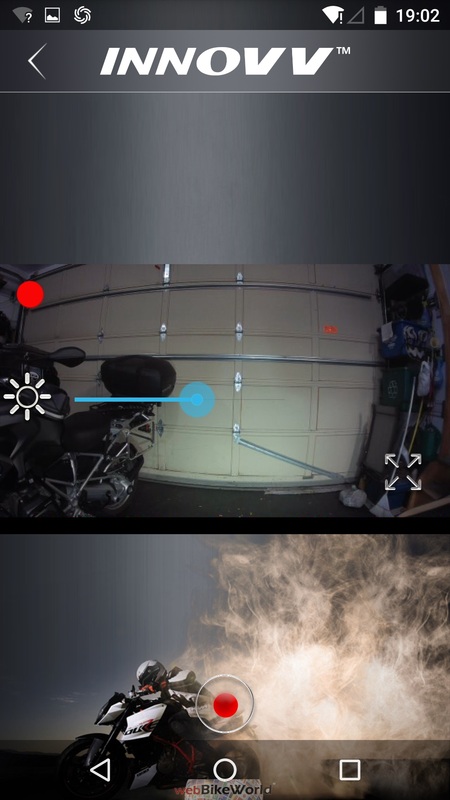 Tapping the left side ‘sunshine’ icon allows exposure adjustments – a feature that can be used to good advantage for better video depending on conditions. It pays to play and compare video done between the default and slider settings. Nevertheless, it is a cool feature that can be done dynamically by tapping and adjusting the on-screen slider, but do it when stopped . Though I did find that after changing video modes or initiating a new session that the slider settings had to often be) reset to the desired level. Fullscreen (landscape) and split-screen (portrait) modes are toggled by pressing the ‘Arrows Out or ‘Arrows-In’ icon (they reverse depending on the mode). Depending on where the paired smart device is mounted or carried, the app, in accordance with the device’s sensors and settings, tends to flip between the two modes. It often seems to be at random rather than due to any severe change in motorcycle or rider angle. The upper left ‘Back’ button is the usual < icon. If turned on under the settings, motion detection and parking modes are indicated by the running figure and dark encircled ‘P’ icons. If enabled, this recording mode is indicated by a figure in motion icon on the app screen. 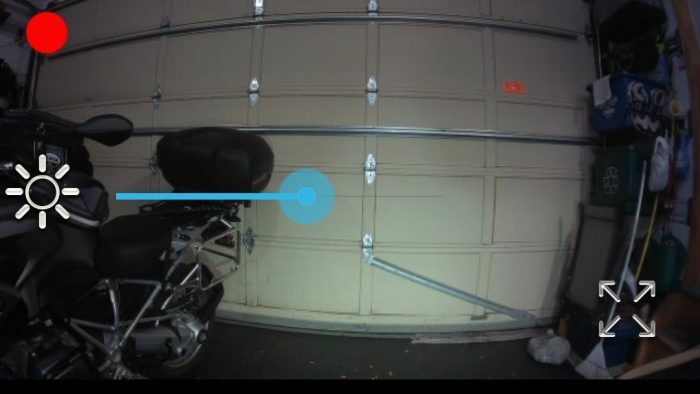 If motion is detected when the motorcycle is parked, the device turns itself on, powered by the internal battery, and begins recording. Activity is indicated by the Power/Record LED flashing. After ten (10) seconds, the recording session stops, and the data saved to the EMR folder on the media. The system then powers down, unless motion is detected. If enabled, a dark encircled ‘P’ icon indicates this mode is active. As with the motion detection mode, the internal battery is utilized to record impact events to provide fail-safe recording capability. If activated the device will record one (1) minute segments of each triggering event, saving the data off to the EMR folder. The system powers down until another event is detected. 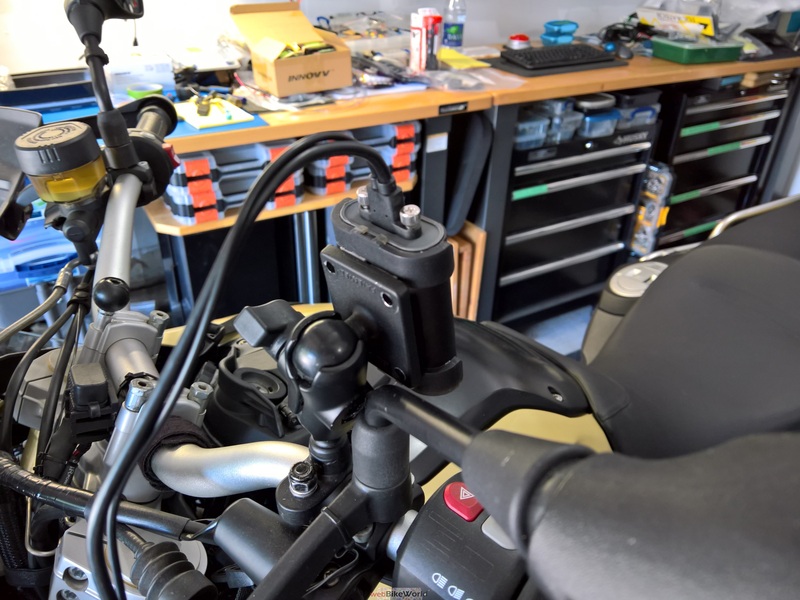 Due to a combination of factors, some related to the host motorcycle and some that could be attributed to the C5, I found that any of the G-Sensor settings can result in multiple 12 or 60 second video clips in the EMR folder. These parallel actions don’t inhibit creation of the normal recordings overall, although they do demand more of the system’s resources, including storage space. Accordingly, users may want to determine the optimum setting (Off, Low, Mid or High) for their use. If Motion Detection Mode or Parking Mode recordings are made, the files are saved off as ‘protected files’ in the EMR folder on the media – but only if external power is not active. If external power is active when either motion detection or parking mode video is generated and subsequently stored in the EMR folder, the user must move or copy the files to another storage location to preserve them. I review and move the EMR folder files regularly, along with regular loop video of ‘interest’. Traffic related video and photos from installed K1 and C5 systems have proven valuable to us and others. While the C5 is happy to work in its default mode, much like how the K1 Dual Channels systems are used, the C5’s WiFi and app provide dynamic interaction with the C5 system. To repeat: interacting with the C5 system needs to be done in a safe and responsible manner – distracted riding is distracted riding! Select the ‘Document’ icon (centre left) to review video and photos. Individual files from the device or from an attached storage venue are selectable for playback, step-through review, download/transfer, or deletion. 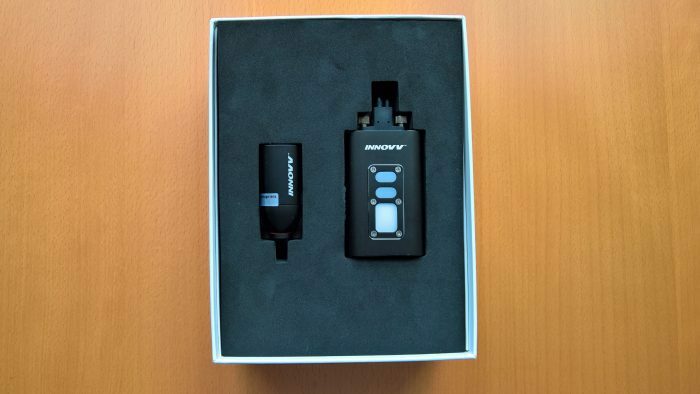 The process isn’t completely intuitive, but if you have updated other products similar to the Innovv devices the process can be stepped through with a bit of due diligence. 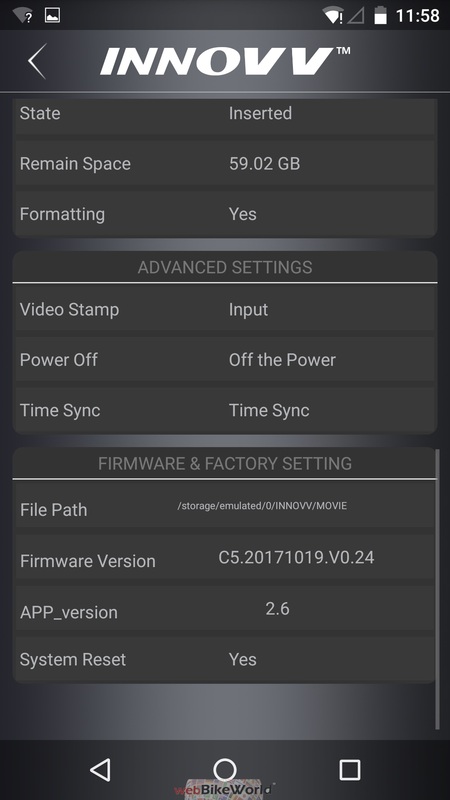 I tried to update the C5 with an earlier firmware release provided, but it never worked. But after getting a direct Dropbox link, the latest build (FW v0.24) is downloaded and the .BIN file extracted. 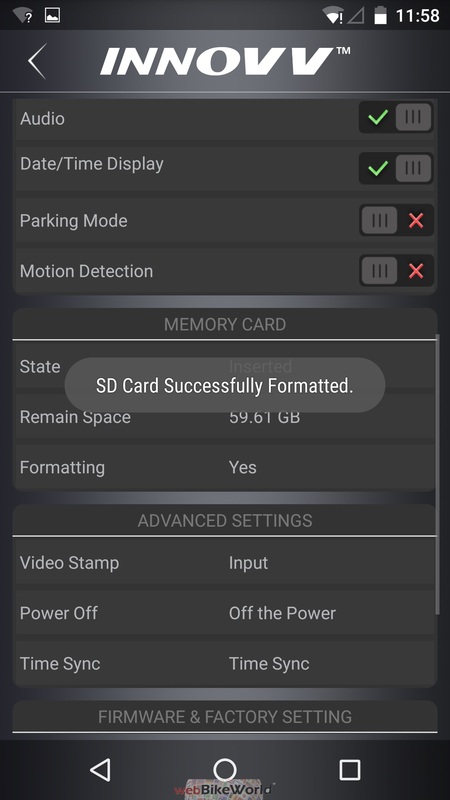 After clearing all files and folders off the microSD in use, the firmware file is copied from the PC folder to the ROOT directory of the media using the micro-USB connection(leave the module connected to the PC). Turn the C5 system Off and then On using the Red LED control. The LED flashes once, then goes into a first then second sequence of rapid three times per second pulses indicating that updating is taking place. Finishing this step, the Red LED flashes once then turns solid Red. Reboot the module using the front power control. Alternatively, reconnect the module to the USB-C harness and with the C5 activated make the network connection to a paired device. 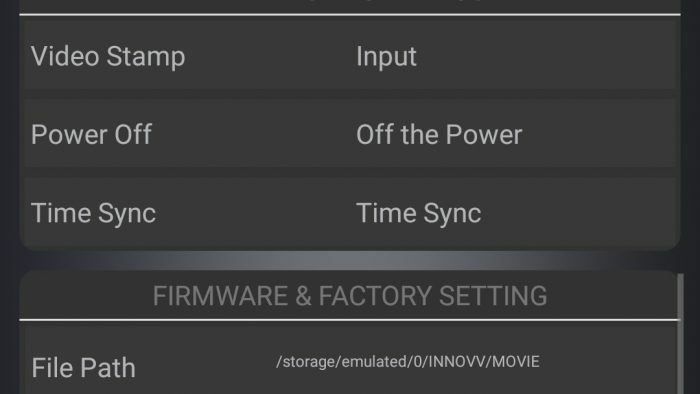 Launch the Innovv app and select Settings and scroll down to the bottom of the page to verify that the latest update is installed. All previous settings should be retained, but it never hurts to verify things. 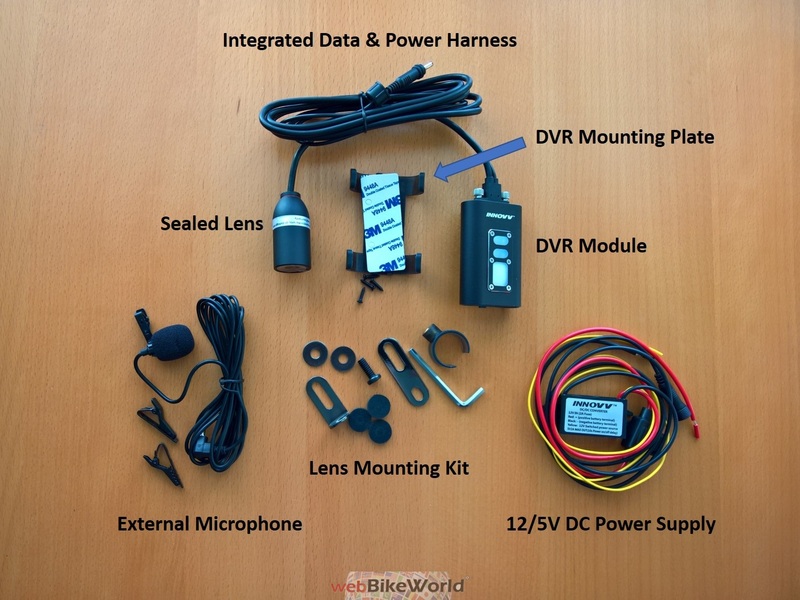 Based on its product line, conversations with fellow riders, and forum threads it seems Innovv is gaining traction in the market space with a short list of focus products providing features, performance, and value. 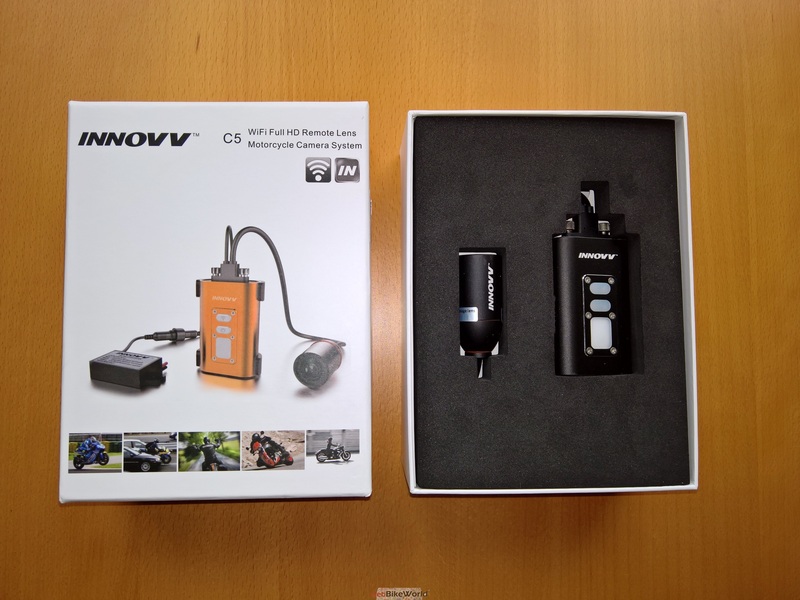 From the past to the present our experience with the Innovv K1 Dual Channel Camera systems, 12V/5V DC Adapters, Power Hub1 brick, various USB products and now the Innovv C5 remains positive. Comparatively, in reviewing K1 and C5 video, the C5 output seems sharper with better colour balance over a wide range of conditions, and we can’t forget the dynamic exposure feature. Both the K1 and C5 provide very good to excellent low-light video, but again the C5 seems to take the lead here as well. It’s perceptively sharper when viewed on a larger screen with better detail definition. 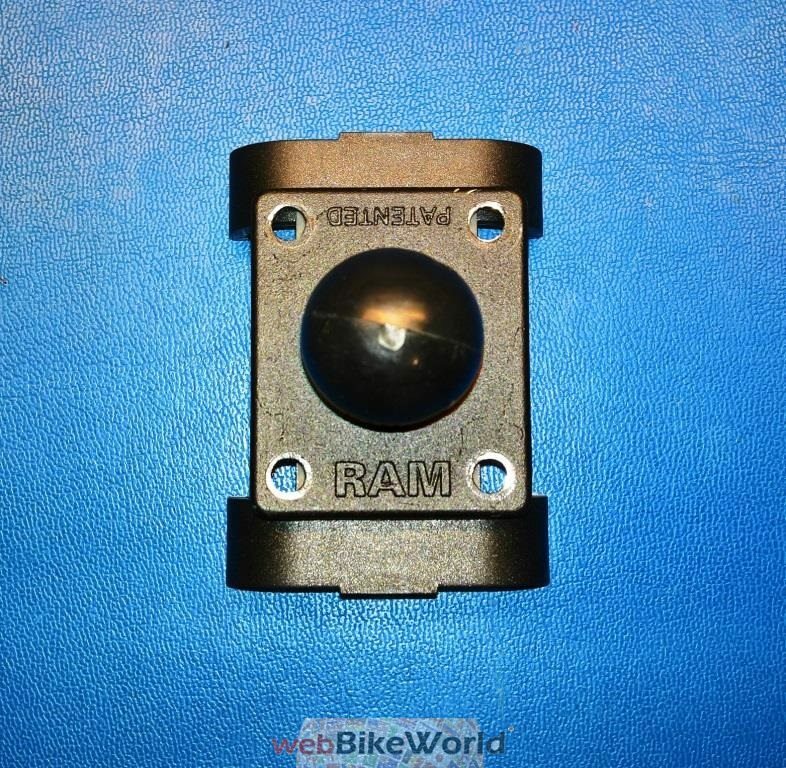 What we have found though, unlike the K1 lens modules that seem to provide great video no matter what or where they are mounted, is that the lightweight C5 lens and holder perform best when given a good stable platform, especially for varying terrain and riding conditions. 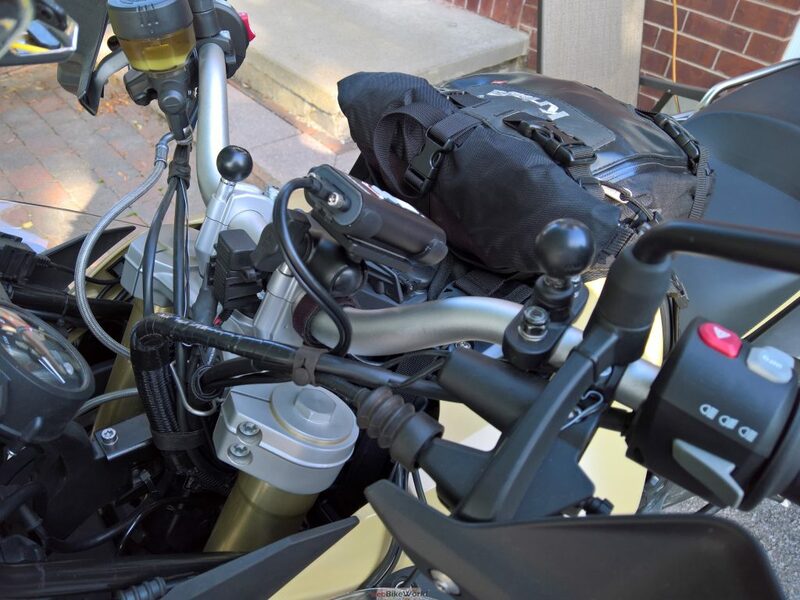 The BMW F800GSA with its lightweight and sensitive long-travel suspension didn’t prove to be the best high-speed platform for the C5, although using a good isolation-style mount provided better results than in only using the kit pieces. 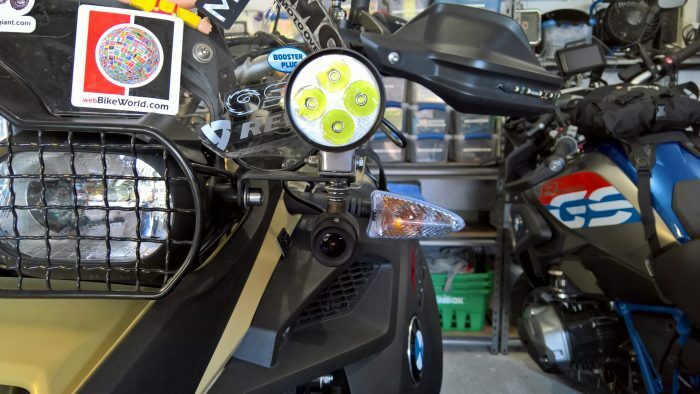 By contrast, on machines like the R1200GS Rallye with its long-travel Telelever based and ESA managed suspension, using both the kit pieces or more stable mounts rendered good to very good video even on rough roads and trails. 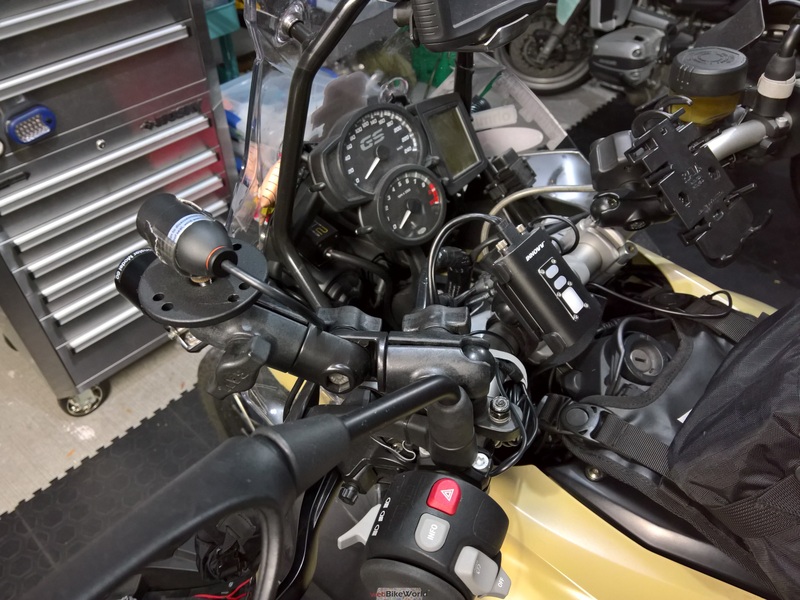 Two helmet-mounted configurations provided the best video, acknowledging the need for some wire management, with the WiFi link and live view feature proving their value every step of the way. Bottom line: Although not without previously identified issues, our experience with the C5 single-channel system indicates that it is all it claims to be – with the potential to satisfy a lot of users across a broad spectrum of applications. And no, so far we have not experienced the intermittent low temperature issues that we still have every year with the K1 systems when temperatures drop to 5C and below. 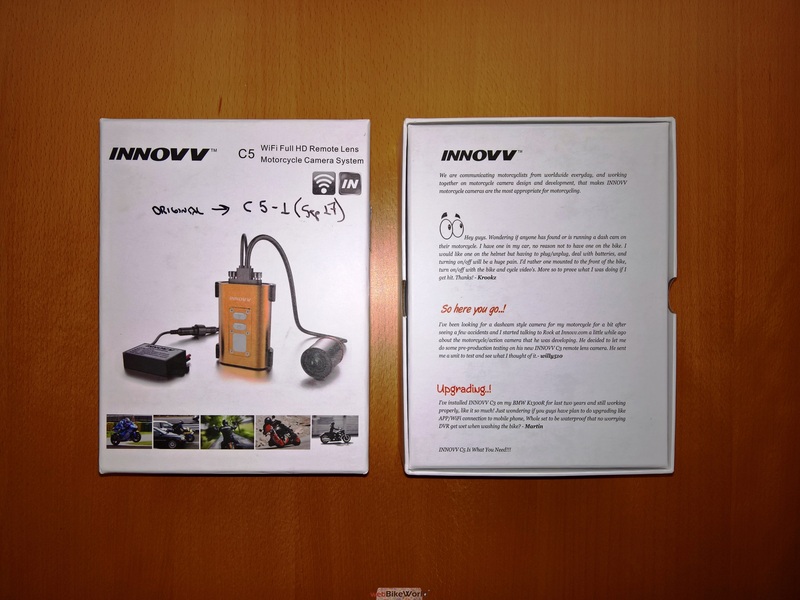 Finally, we know Innovv, particularly the C5 team, is listening to users and working to refine the C5 product. Nice detailed review – but after all that, no video samples?